What a title. Pulitzer worthy. 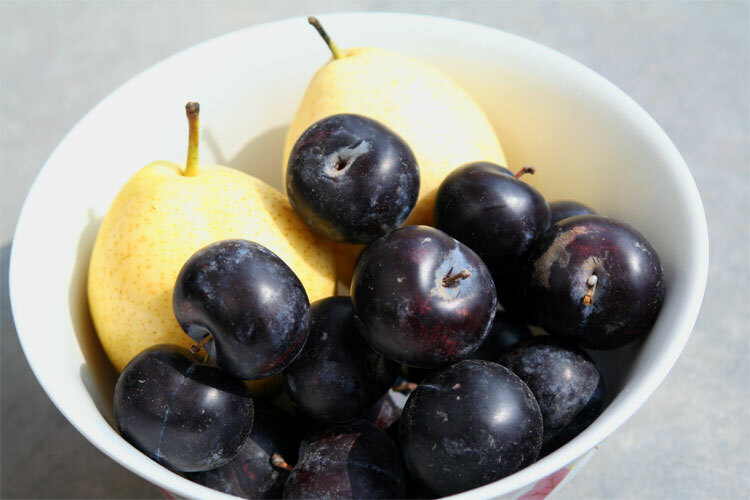 Local fruit fare, with plums and applepears.